Current money saving reforms are threatening the health and well-being of practitioners, the importance and validity of doctor-patient relationships, and the importance of systems that support patients and doctors. As a part of money saving practices, there is an international push to train less experienced practitioners, who will need less training, to do the roles of specialists and other doctors by following protocols. But what happened to the integrity of the role of a physician and the valuable role of nurses? These protocol changes are based on financial expediency, and, if we consider these carefully, will they really solve the healthcare crisis that is facing us globally? How will these protocol expediencies work when illnesses and diseases get more complex and the people who are expected to solve complex personal health issues are compromising the health of their patients because they have been deprived of the daily clinical experience and exposure that makes a physician excellent? While pharmaceutical research has a part to play, it is experience with people that is the foundation of medicine. If we create generic protocol-driven healthcare practitioners, we are removing the expertise and wisdom from the medical profession. Therefore, we need to find another way to support our communities and their health. If we look at the diseases that are contributing to the high burden of disease with both personal and societal cost, we can see that many of them are underwritten by lifestyle factors, including alcohol, smoking, lack of exercise, and overeating. If we can understand what leads people to make unhealthy choices, then we can gain a better insight into how we can improve the health and well-being of society and thus reduce the long term cost to the healthcare system by deferring, and perhaps even preventing, the onset of illnesses and diseases resulting from an unhealthy lifestyle. A study of 17,000 people carried out in 1997 and conducted at Kaiser Permanente, Oakland, California, USA, is an example of this insight.7-9 The researchers found that childhood trauma and, hence, persistent emotional distress was strongly associated with the development of chronic illness and disease; in many cases, emotional distress contributed to chronic illness more than typical lifestyle factors. They also found that people exposed to emotional distress were unable to give up bad lifestyle habits because they needed them to cope with their day-to-day life. Imagine if we were to have programmes educating people on how to look after their bodies from a young age? If we have programmes that empowered people with healthy tools to deal with, understand, and perhaps even heal the root of their emotional distress? Consider the impact this might have on the health and well-being of our society, in addition to the financial advantages that might accrue. If we are truly serious about reducing the cost of healthcare, and, more importantly, reducing the negative impact of chronic disease on both individuals, families, and work places, then we need to take a step back and look at the way people are living and how that might contribute to the development of illness and disease. If we instead continue in the same vein, looking at the cost endpoint, we will be eroding the core foundation of healthcare and potentially damaging the future health and well-being of our societies for short term financial gain. Rather than viewing cost as an end point to be minimised, we need to see the cost of healthcare as representative of us not understanding what is creating illness and disease. What needs to be done is to expand our approach to healthcare, beyond the existing healthcare system and into broader society; after all, it is often in our day-to-day lives that illness and disease begins. Healthcare reform needs to be a society-based approach, not a system approach. As such, I propose that the focus needs to be on sustained well-being in daily life. We need simple programmes that support people to connect with their bodies and each other, to learn and to listen to their bodies, honour themselves, and learn to make choices that support their health and well-being. In addition, this development practice should be opened up to the community so they can pitch in and explore alternative ideas. Moving forward with healthcare reform, there is no need to limit the autonomy of our healthcare professions or rationalise the delivery of healthcare, none of this will, in truth, resolve the current healthcare situation. Instead what is needed is a broader societal approach to health with a strong emphasis on community and personal well-living rather than only endpoint medical care. Only then will we have a healthcare system that honours the health and well-being of us all, equally so, and importantly a healthy society. King, J. (2015). A sick world: More than 95% of us are ill. ABC Health and Wellbeing in The Pulse. Available at: http://www.abc.net.au/health/thepulse/stories/2015/06/11/4253253.htm. Last accessed: 27 September, 2017. The World Health Organization. Chronic disease and health promotion. Available at: http://www.who.int/chp/en/. Last accessed: 27 September 2017. Forster K. Independent. NHS staff ‘quitting to work in supermarkets due to low pay’ 8 May 2017. Available at: http://www.independent.co.uk/news/health/nhs-staff-quitting-to-work-in-supermarkets-low-pay-doctors-nurses-hospitals-jeremy-hunt-a7723411.html. Last accessed: 27 September, 2017. Peckham C. Medscape Lifestyle Report 2017: Race and Ethnicity, Bias and Burnout. 11 January 2017. Available at: http://www.medscape.com/features/slideshow/lifestyle/2017/overview#page=2. Last accessed 27 September 2017. Beyond Blue. National Mental Health Survey of Doctors and Medical Students. October 2013. Available at: https://www.beyondblue.org.au/docs/default-source/research-project-files/bl1132-report—nmhdmss-full-report_web. Last accessed: 27 September 2017. Szramka, M. Doctorportal. Why don’t we speak openly about doctor suicides?. 5 April 2017. Available at: https://www.doctorportal.com.au/why-dont-we-speak-openly-about-doctor-suicides/. Last accessed: 27 September 2017. Felitti VJ et al. Relationships of childhood abuse and household dysfunction to many of the leading causes of death in adults: The adverse childhood experiences (ACE) study. Am J Prev Med. 1998;14(4): 245-58. Felitti VJ et al. Obesity: Problem, solution, or both? Perm J. 2010; 14(1):24-30. Edwards VJ et al. Adverse childhood experiences and smoking persistence in adults with smoking-related symptoms and illness. Perm J. 2007;11(2):5-13. Dr Maxine Szramka. Dr Maxine Speaks. 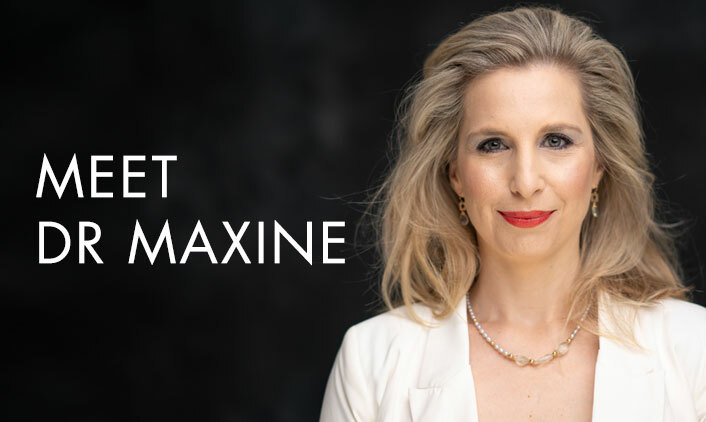 Available at https://drmaxine.com.au/. Last accessed: 27 September, 2017. ← Self-care – who needs it? !